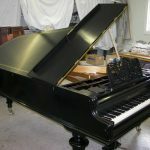 An absolute beauty to play, see and here, with inlaid brass stringing on the lid. 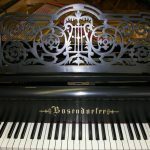 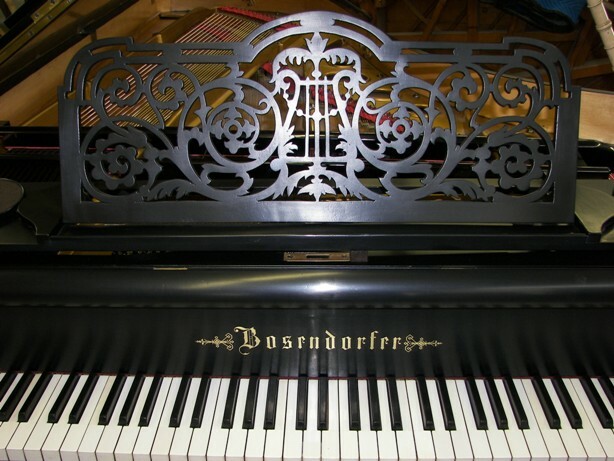 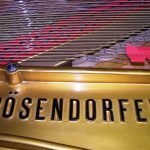 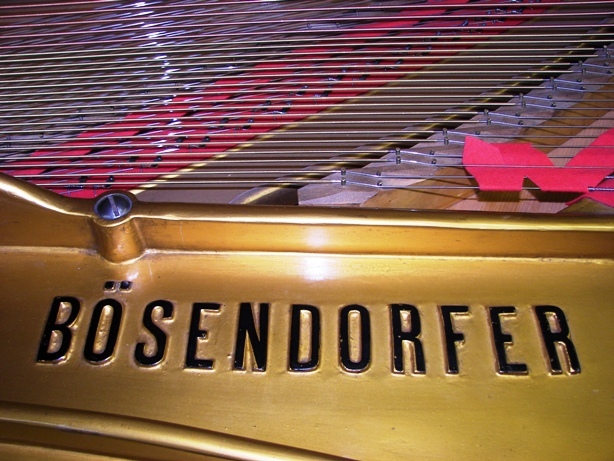 Bösendorfer continued truly understanding the geometry and touch requirements performers need, making their late Viennese action work well as tensions and pianos grew, unlike their competitors. 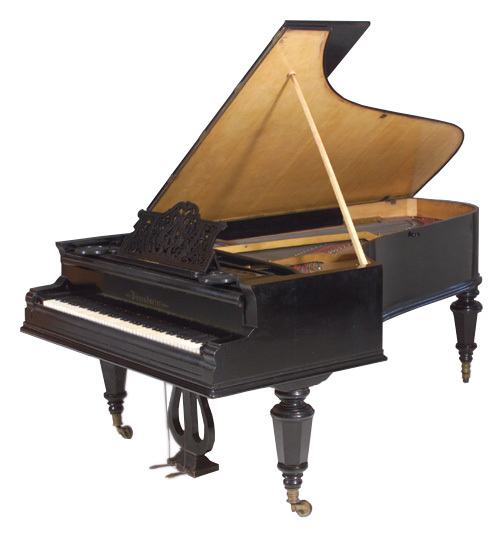 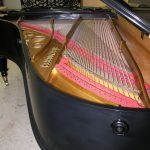 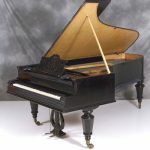 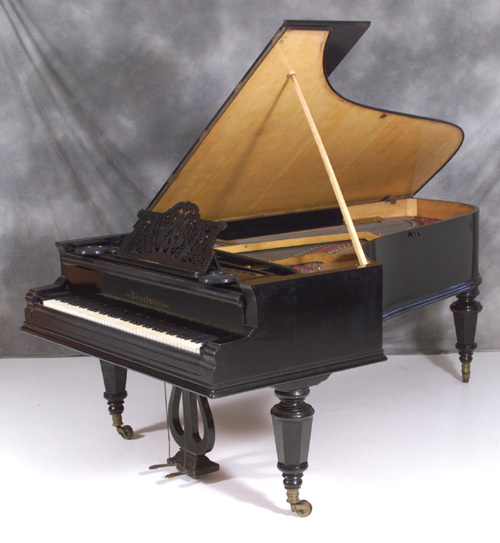 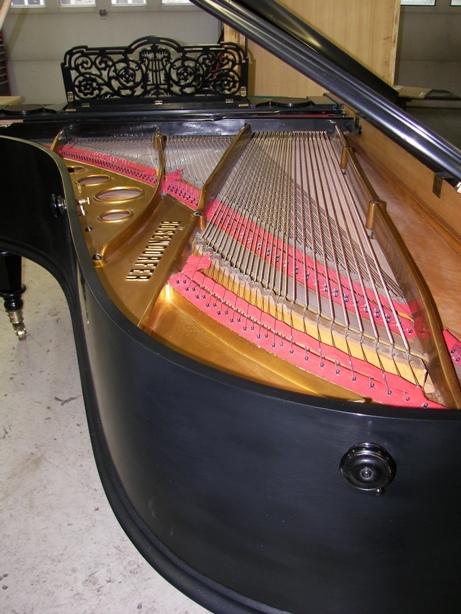 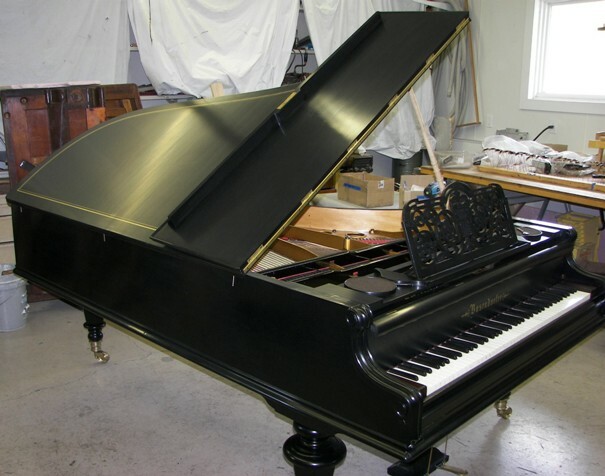 This piano does have cross stringing and a full metal plate, while maintaining a Viennese balanced sound.